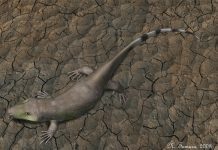 Mesosaurus is an extinct reptile which lived approximately 300 million years ago during the Early Permian Period. It was first discovered during the mid-19th century and was named by Francois-Louis Paul Gervais in 1864. The name of this reptile means “middle lizard” in Greek. 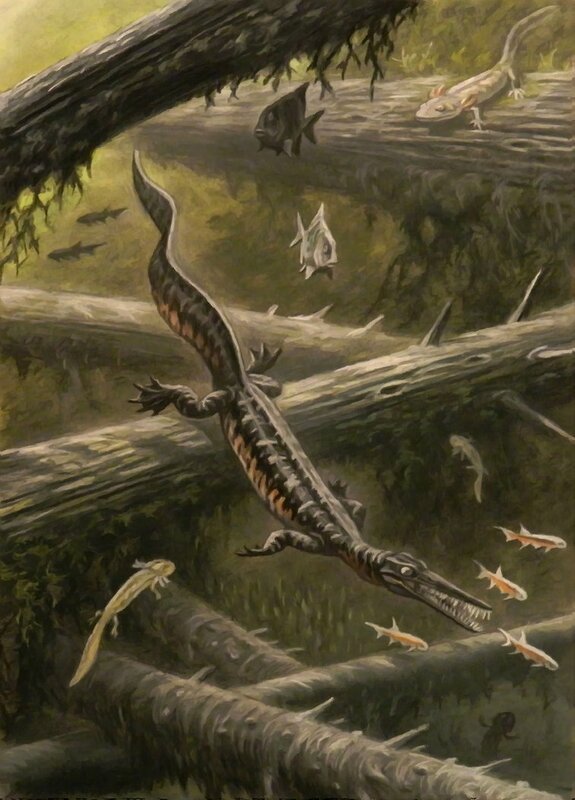 If you look at Mesosaurus pictures, then you may come to the conclusion that this animal was some sort of prehistoric crocodile. After all, it does kind of look like one. However, that would be the wrong conclusion to make. 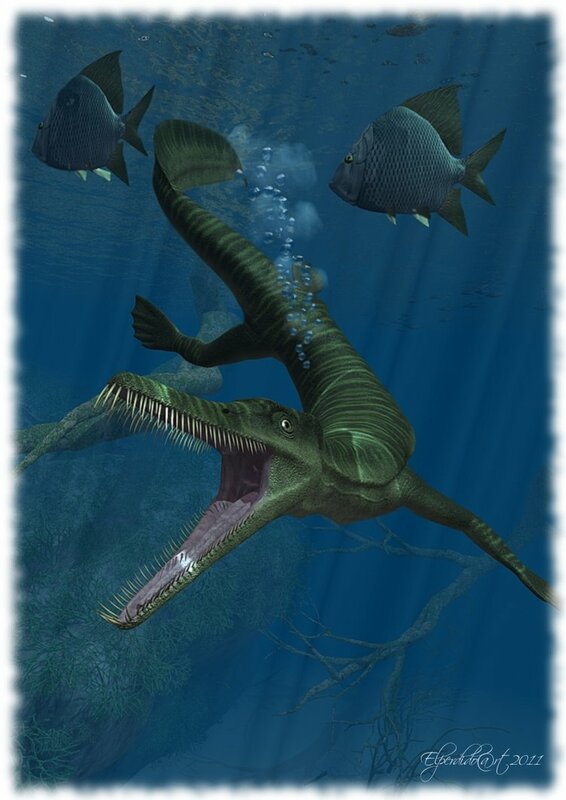 That’s because while this reptile looked very much like a crocodile and lived a semi-aquatic lifestyle, what gives it away is its teeth. This animal’s teeth were very thin and were used to filter plankton and not to bite into fish or small animals. 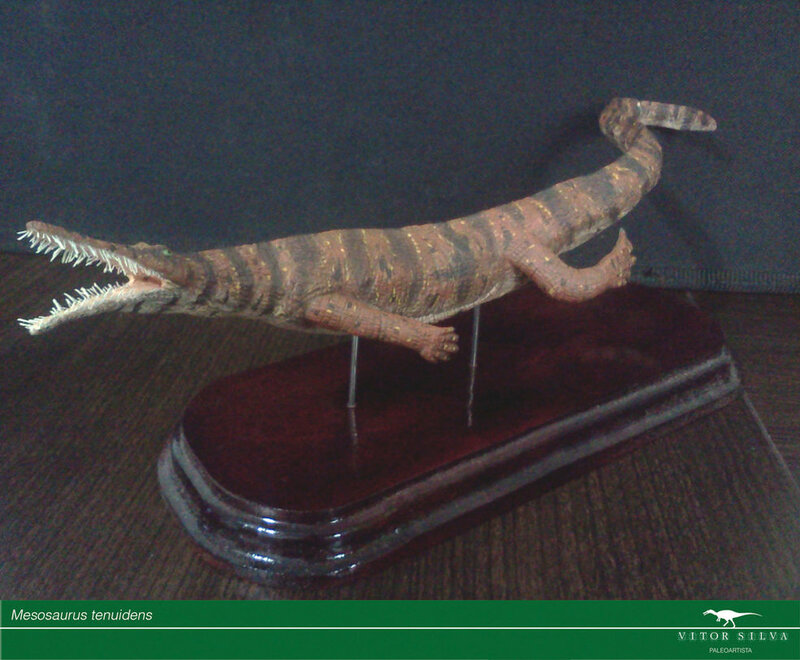 Not to mention the fact that it was quite a bit smaller than most of the prehistoric crocodiles that would come later. 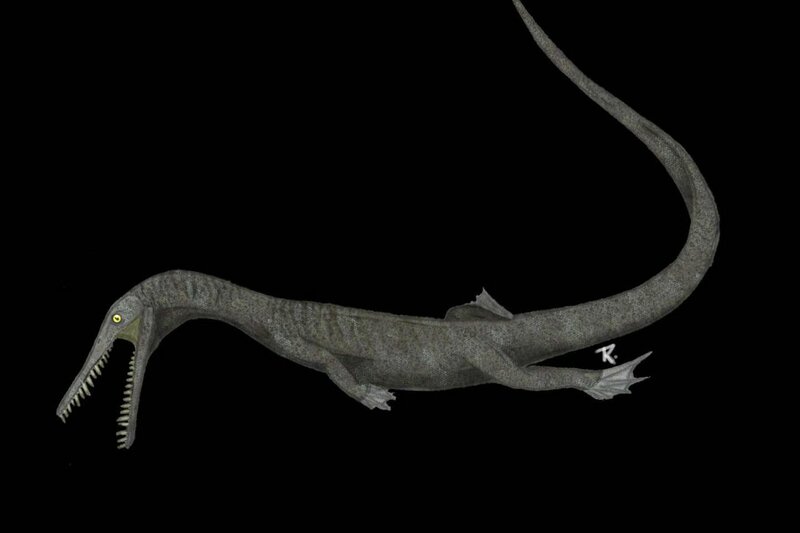 Mesosaurus was approximately 3 feet long and weighed around 20 pounds. That made it the size of a yardstick and about the weight of a Dachshund dog. 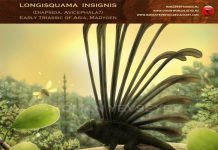 It was an anapsid reptile – which means it didn’t have the openings in the sides of its skull that therapsids and pelycosaurs had. No, it was in the same classification category as turtles are today. 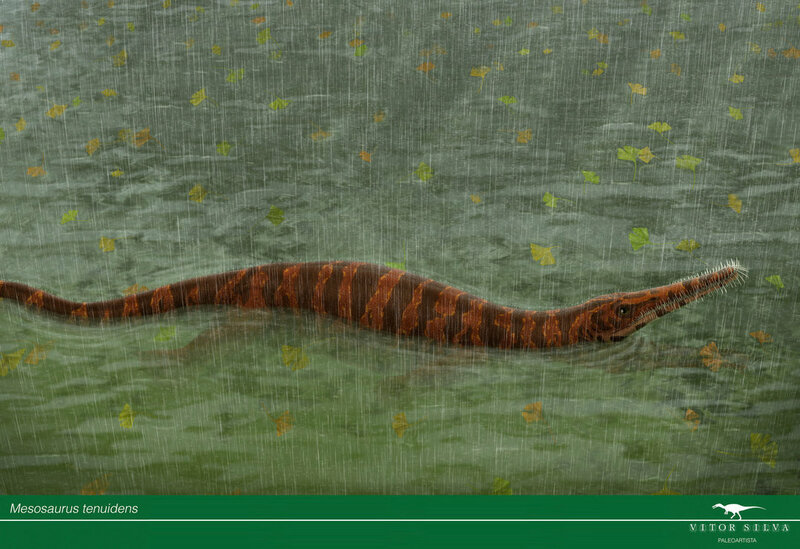 What is really fascinating about this reptile is that it lived a semi-aquatic lifestyle. It would roam the shoreline of rivers and lakes looking for small marine organisms and would occasionally get in the water to eat its favorite food: plankton. It would catch the plankton by filtering fresh water through its oddly shaped teeth. 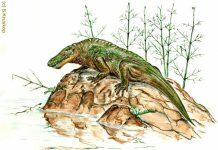 One of the most fascinating facts about Mesosaurus, however, is the fact that it was instrumental in proving continental drift theory. 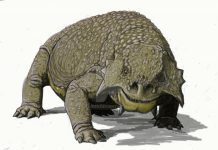 It lived in both eastern South America and southern Africa. However, since it only swam in fresh water, it is highly unlikely it could have swum the Atlantic Ocean to get from South America to Africa. This most likely means that these two areas were connected at one point in time and over time, spread apart. A theory that is known as continental drift.